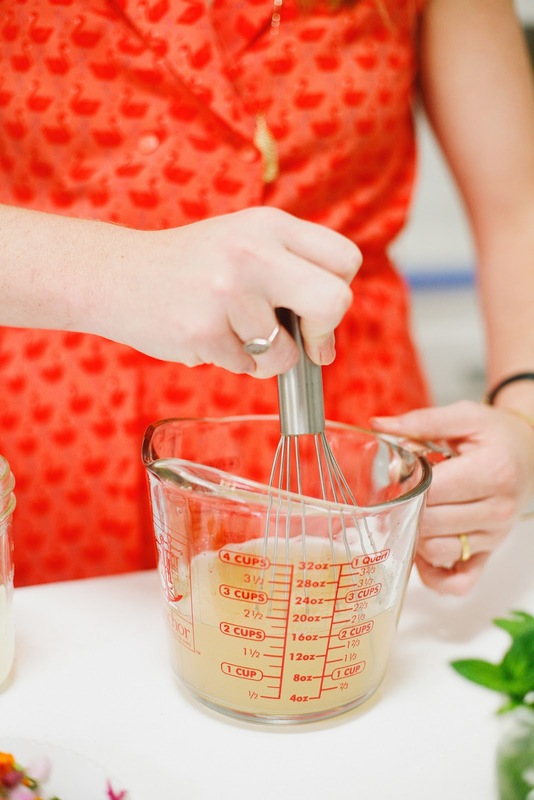 CAKEWALK BAKE SHOP: DIY: Summer POPS! The crazy summer heat by no means belongs to the stable of southern charms we Texans are proud of, but it is a great excuse to make refreshing treats for friends and family. And nothing fits the bill more so than an icy-cold popsicle, the ultimate throwback summer treat. 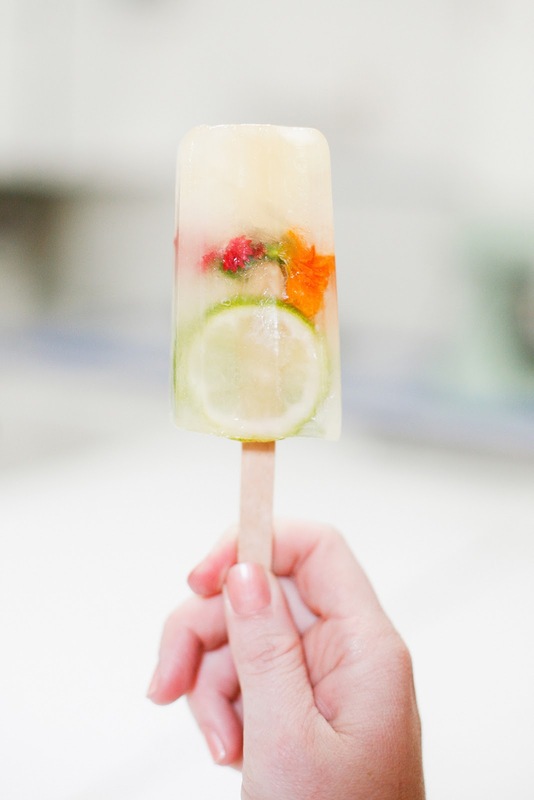 Read on for my DIY tutorial on how to make a bit of a grown up pop (one flavored with green tea and fresh herbs,) that is every bit as refreshing as anything you ever pulled out of your grandma's freezer. 1. 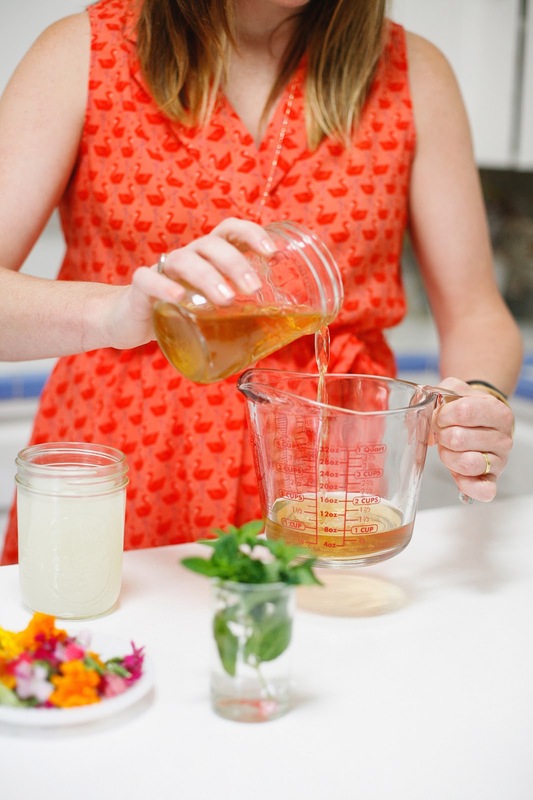 Mix equal amounts Green Tea + Lemonade into a spouted vessel (for easy pouring). 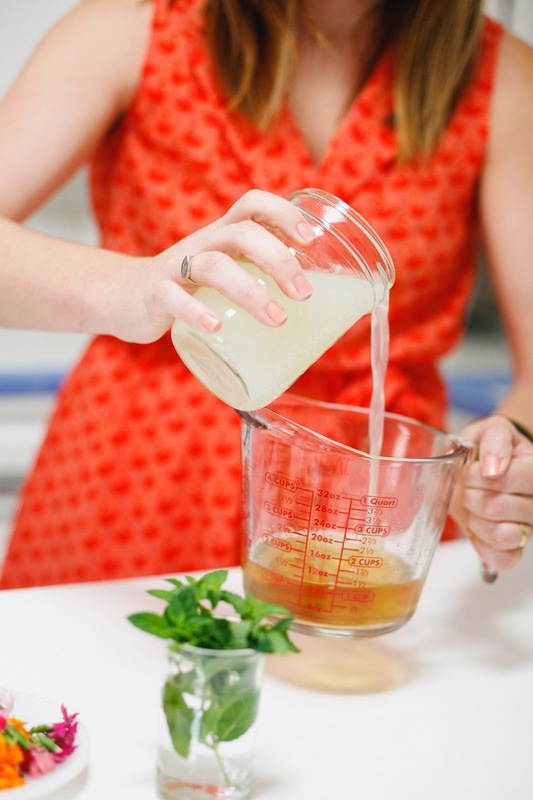 Add a splash (to taste) of simple syrup to cut the tartness of the lemonade. 3. Pour the tea-lemonade mix into the pop molds, only filling to about 1/3. 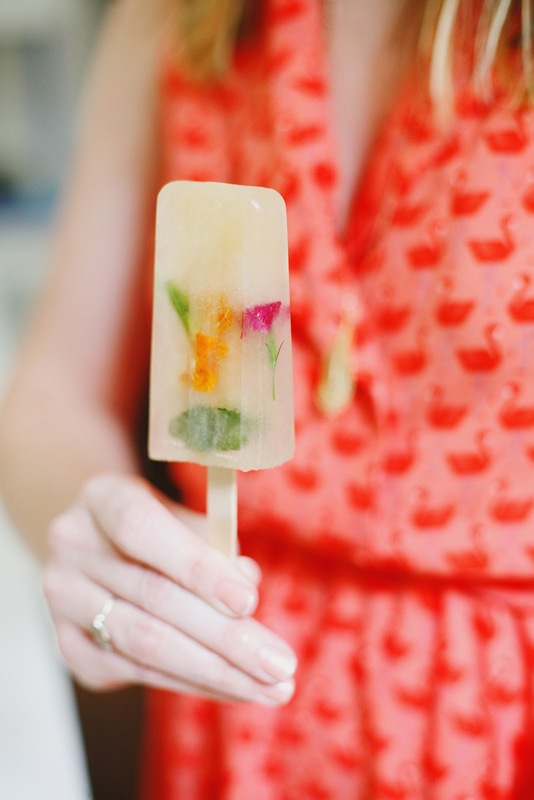 You must freeze the pops in phases, otherwise the fun stuff (flowers + mint) would all float to the top of the mold, leaving you with a mostly solid-looking pop. 4. 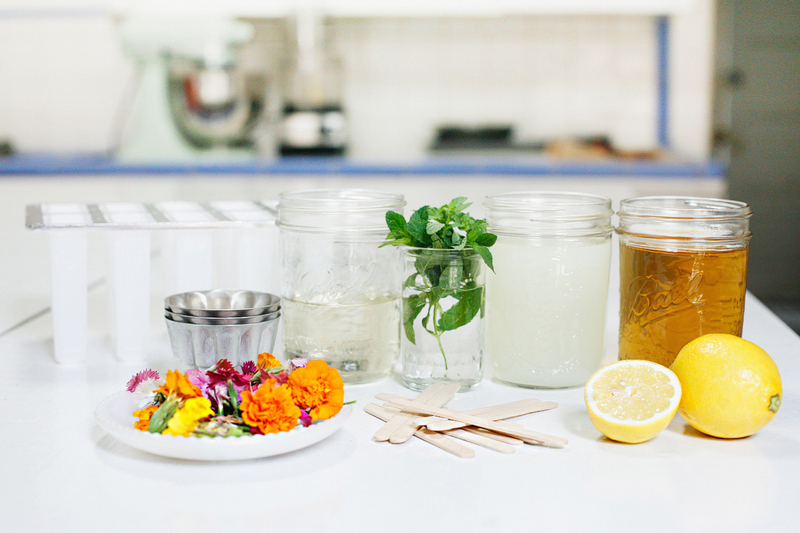 Carefully place a few flowers and mint leaves into the pop mold, dunking them into the tea-lemonade liquid. You may choose to use a fork or butter knife for this, but I just went all in with my fingers. 5. 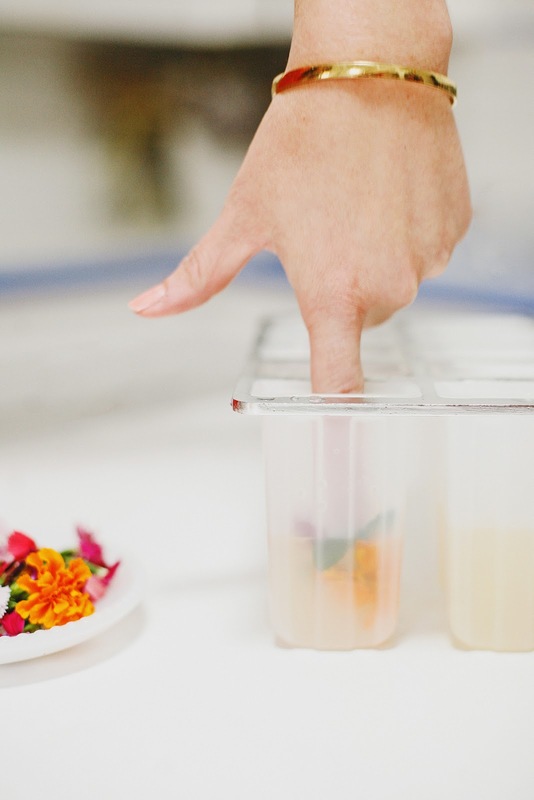 Freeze each layer for at least 2 hours so that the layer is completely set before you add the next, otherwise meltage will occur and your carefully preserved flowers will float on up to join their friends in the next layer. 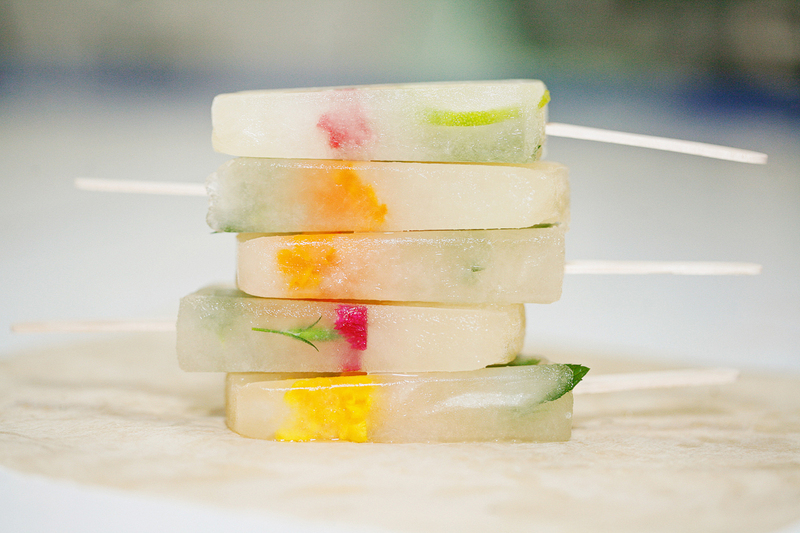 Only partially freeze the second (middle) layer for 30 minutes to 1 hour so that you can place the popsicle stick. You are looking for an almost slushy like texture with enough thickness to hold the stick in place. Insert the stick and pop it back into the freezer to continue to freeze solid before adding the final layer. If adding a sliced lime, this would be the layer to do so. For each layer, repeat steps 3 and 4. Let the entire pop freeze for at least 6 hours before sharing with friends. 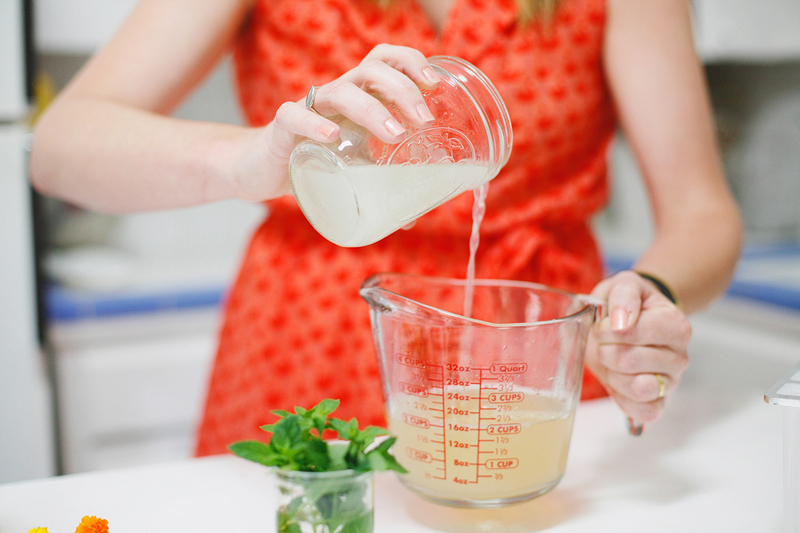 * To make simple sugar, mix one part sugar with one part water in a small saucepan. Bring to a boil and let cool. 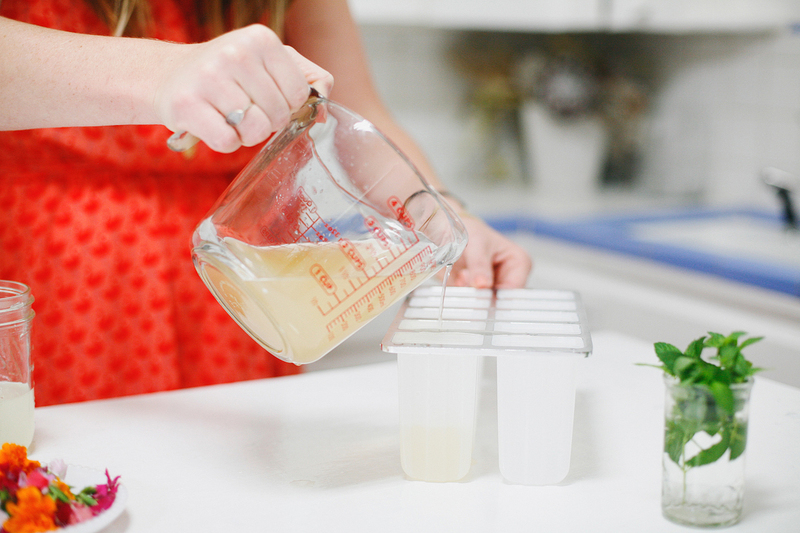 * Fun Variations: Make adult-only pops by adding sweet tea vodka! Add almonds for crunch! Use pink lemonade to add some extra color! * To remove the pops, let them sit at room temp for a few mins to loosen up, then gingerly wiggle them free.